Shipping Station is your business and personal connection. Just ask us…we’ll either do it for you or find a service that will $ave you Money. Mailboxes, Document Shredding, Credit Checks, Fingerprinting& Notary Services, Identity Protection, Computer Service Desk, Hotel Pickup, Custom Retrieval Service, Gift Wrap & Specialty Greeting Cards, and even Home Pick-ups. We ship the most economical way whether it be UPS, FedEx, DHL International USPS. We can handle those priceless large and awkward items for you and your family. HistoryEstablished in 1977. 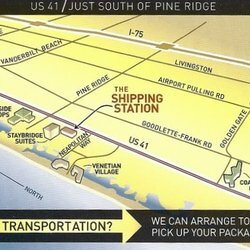 The Shipping Station has been a well known and appriciated business for almost 40 years here in Naples, Fl. Always Independently owned, The Shipping Station is the oldest and most well established pack & ship company in the town. The business has been handed down through hands such as CEO of GM and even big players in the Dell computer company, which insures customers full satisfaction and efficency from the moment you walk in the door as a stranger and the molment you leave as a friend. 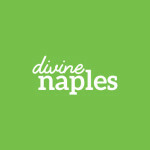 Our repeat customers are those who have entrusted us with thier packages every year for up to 15 years. We know them on a first name basis and treat them like our own family. Many of them just come by to say “Hi” and grab a piece of candy! One thing is for sure: when it comes to service we here at The Shipping Station know what it means to take care of our clientel! So stop on by when you are in the area! Meet the Manager Scott R. Manager Scott has been working at The Shipping Station as acting manager for almost 10 years now and is the “go-to” man here in Naples where shipping and packing is concerned. He knows and remembers everybody who comes through the doors of The Shipping Station and greets with a warm smile and loves to conversate with anyone. When the other shipping companies don’t have an answer or can’t meet needs, Scott is the one they send you to. This is company that claims to be a packing company. They shipped two boxes of glass items. They knew I spent $500 for one of the items and it was going to California. I didn't watch how they packed the item and that was my mistake. All they did was add a small amount of popcorn Styrofoam to the box. They didn't mark the box fragile. It arrived with everything in the box broken. Do not use this company. They were very nice people and they assured me they will pack it well and that didn't happen. They told me they have never had an issue and they didn't believe it arrived broken. They wanted to blame it on FedEx. Thank goodness I insured the item but I have yet to get my money for it. The second box was also packed badly but the one glass item didn't break. I could not have replaced that item so I was lucky. A report was filed by the Shipping Store because I couldn't file it myself unless I go to a FedEx office to ship it. After seeing pictures of the damage the shipping company told me that the package was not packed appropriately. FedEx picked up the broken and damaged package and they said the packing was not sufficient for the contents. I have been told it will be 4 to 8 weeks to get my money for the item. If you insure something and it's broken you have to have proof of purchase of the item you ship. Be careful and always go with a trusted shipper. I am not able to replace this item which is very disappointing. To follow up on the resolution I did receive a check in March for the item. The company was very apologetic and I know they don't want that to happen again. I don't know if I would go back to this company. In the future I will stick around and watch how the items are being packed. I have been using the Shipping Station for years and actually go out of my way to go there. The reason I go back time after time, whether just for stamps or packing and shipping, is Scott. Scott has been the manager of the store since I started going and is the reason I continue to go back. Scott knows everyone's name and he provides outstanding customer service and always with a smile. He is very efficient and kind and is the sole reason I will continue to go back for years to come! They did a great job shipping some artwork for a client of mine. Professional and fair pricing.